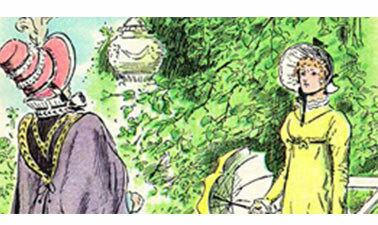 This course will explore Jane Austen’s 1813 novel of manners, Pride and Prejudice. Although the story of the Bennet sisters takes place at the turn of the 19th century, it still fascinates modern readers. One of the most popular books in the English language, Pride and Prejudice consistently placing near the top of lists of "most loved books." Modern interest in the book has resulted in a number of adaptations for film and stage--since 1940, there have been four TV and movie versions of this book, as well as a plethora of spin-off books, including Bridget Jones' Diary and Pride and Prejudice and Zombies. I am interested in this course, as well as in other courses on Jane Austen's or Charlotte Bronte's works. Will it be available again? The courses in the BerkleyX's Book Club are excellent. I hope that they become available for all again. This is the first I am part of a book club that too an electronic one. The course content (Book) was available electronic format thus easy to carry and peruse. Additional reading material provided good food for thought. The instructors were extremely capable in drawing out the points of discussion helping enrich the reading experience. The course was beautifully balanced over 4 weeks giving the participants ample time to read the book (if this was their first time) and participate in the discussions. The course provider gets 5 stars because I could sit in India and enjoy being part of an international book club. It was unimaginable few years back. Loved it!